FACES Cosmetics launches “ Hi Shine Wedding Collection” a sizzling nail palette inspired by traditional wedding vows. This vivacious and vibrant range promises to strike the right chord with every bride and is a must have in her trousseau. When applied, these sparkling nail colors deliver a three dimensional shimmering effect, adding oodles of glamour to your luminous bridal look. 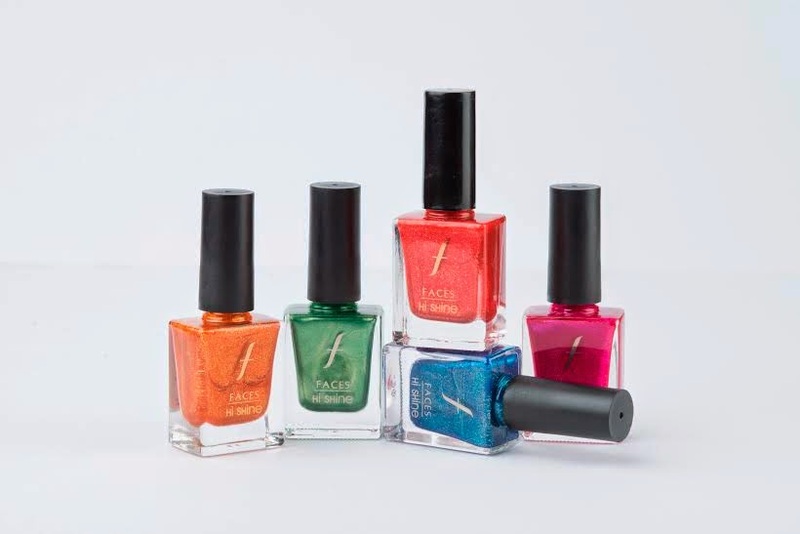 These high-quality, ornately pigmented formulas infused with tiny particles of glitter will catch all eyes in the room with their bright, ultra-reflective shine. The future looks wonderfully romantic with bright orange ABSOLUTELY YOURS, holding hands with your lush green SOUL MATE to taking the vows with the fuchsia pink TIE THE KNOT. Look like a diva on your special day with the “Wedding Collection” that is a part of the ever trendy FACES Hi Shine Nail collection which boasts of high-quality gloss formulation, chip and crack resistant, perfect glide and full coverage one stroke application. FACES have already been making a splash across most major cities in India, with 26 signature stores in operation. In fact the bang-on-trend, faces color cosmetics range is also available in over 450 SIS touch points where consumers can experience the product in an aided environment. It has recently expanded its presence in select Shoppers Stop, Lifestyle, New U stores.